Millennium Hotel Queenstown is just minutes from Queenstown central shopping, entertainment and adventurous outdoor activities such as bungy jumping, white water rafting, and jet boating. The hotel’s 220 guest rooms and suites, gym, sauna, spa, bar, and restaurant feature contemporary city-inspired designed. Most accommodations offer scenic views of Queenstown city and mountains. Napier hotels with Scenic Hotel Te Pania. Hawkes Bay is one of the first places in the world to see the light each day, and Scenic Hotel Te Pania in Napier enjoys a premium waterfront location on Marine Parade. The hotel's slender curved form echoes the shape of the bay, and guests enjoy sweeping views out over the water. A fresh, contemporary style hotel, Scenic Hotel Te Pania is just a short stroll from Napier's main art deco style street. Completely rebuilt, the Rydges Christchurch reopened in 2013. The 138-room hotel’s amenities include a restaurant and a bar/lounge, fitness center, and sauna. Air-conditioned guest rooms have private bath, complimentary Wi-Fi Internet access, in-room safe, coffee- and tea-making facilities, mini-bar, ironing facilities, TV, and phone. The Millennium Hotel Queenstown sits on a hill in Queenstown, just minutes away from the town’s central shopping district. Amenities include a restaurant, bar, fitness center, sauna, spa, and WiFi internet access (for a fee). Each of the 220 air-conditioned guest rooms has private bath with hair dryer, minibar, safe, tea- and coffee-making facilities, TV, and phone. The unique, dinosaur-like, tuatara is one of thousands of species of animals inhabiting the diverse ecosystems found throughout New Zealand, many endemic to the islands. This beautifully illustrated guide highlights over 140 familiar and unique species of mammals, birds, reptiles, amphibians, fishes and butterflies/insects and includes a map featuring prominent wildlife-viewing areas. Laminated for durability, this lightweight, pocket-sized folding guide is an excellent source of portable information and ideal for field use by visitors and residents alike. Made in the USA. Visit Middle Earth and discover the land of the Kiwis when you travel to New Zealand. From Auckland to Poor Knights Island, this travel guide takes you straight to the best attractions this island nation has to offer.Filled with over 900 photographs and 65 detailed maps, DK Eyewitness Travel Guide: New Zealand explores the country's Maori heritage, flora and fauna, beaches and national parks, focusing on the best scenic routes from which to explore the diverse New Zealand landscape—from the glistening glaciers on the West Coast to the surfers' paradise on Central North Island.DK Eyewitness Travel Guide: New Zealand features: • Detailed itineraries and "don't-miss" destination highlights at a glance. • Illustrated cutaway 3-D drawings of important sights. • Floor plans and guided visitor information for major museums. • Guided walking tours, local drink and dining specialties to try, things to do, and places to eat, drink, and shop by area. • Area maps marked with sights. • Detailed city maps include street finder indexes for easy navigation. • Insights into history and culture to help you understand the stories behind the sights. • Hotel and restaurant listings highlight DK Choice special recommendations. With hundreds of full-color photographs, hand-drawn illustrations, and custom maps that illuminate every page, DK Eyewitness Travel Guide: New Zealand truly shows you this region as no one else can.About the series: For more than two decades, DK Eyewitness Travel Guides have helped travelers experience the world through the history, art, architecture, and culture of their destinations. Expert travel writers and researchers provide independent editorial advice, recommendations, and reviews. With guidebooks to hundreds of places around the globe available in print and digital formats, DK Eyewitness Travel Guides show travelers how they can discover more.DK Eyewitness Travel Guides: the most maps, photographs, and illustrations of any guide. Culture Smart! New Zealand offers insights into a country that is reflecting on its identity, having shed its colonial past and now moving from a bicultural society (Maori and European) toward a new multiculturalism. Despite the challenges ahead, New Zealand society is resilient, underpinned by the values of anti-materialism, tolerance, patience, and commonsense, and driven by a shared passion about being a Kiwi. 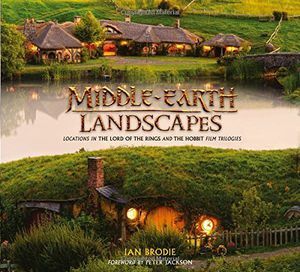 Not by chance was New Zealand chosen to represent Tolkien’s ancient Middle-Earth in the film trilogy The Lord of the Rings. New Zealand is remote, and even sometimes inadvertently left off world maps. This remoteness might be one of its greatest assets. It is off the beaten track, with a wilderness of World Heritage national parks to explore—embracing ice-carved fiords, lakes, valleys, and towering mountains; lush lowland forests and limestone canyons. Set against this stunning background are the New Zealanders, who, not surprisingly, are passionate about their country and the quality of life it offers. 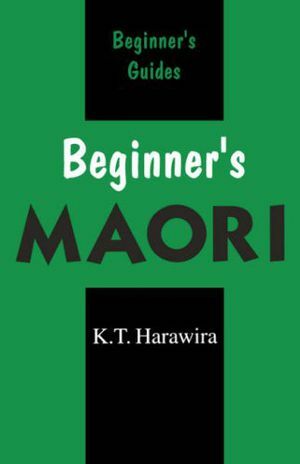 Kiwis, as they are affectionately known, are friendly, helpful, and fiercely equalitarian. All great companions for enjoying the prowess of the All Blacks rugby team in action! 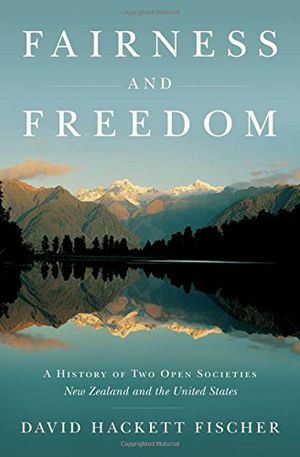 Fairness and Freedom compares the history of two open societies--New Zealand and the United States--with much in common. Both have democratic polities, mixed-enterprise economies, individuated societies, pluralist cultures, and a deep concern for human rights and the rule of law. But all of these elements take different forms, because constellations of value are far apart. The dream of living free is America's Polaris; fairness and natural justice are New Zealand's Southern Cross. Fischer asks why these similar countries went different ways. Both were founded by English-speaking colonists, but at different times and with disparate purposes. They lived in the first and second British Empires, which operated in very different ways. Indians and Maori were important agents of change, but to different ends. 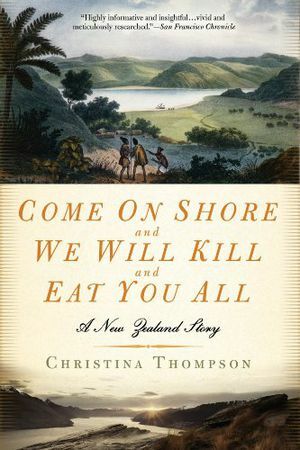 On the American frontier and in New Zealand's Bush, material possibilities and moral choices were not the same. Fischer takes the same comparative approach to parallel processes of nation-building and immigration, women's rights and racial wrongs, reform causes and conservative responses, war-fighting and peace-making, and global engagement in our own time--with similar results. On another level, this book expands Fischer's past work on liberty and freedom. It is the first book to be published on the history of fairness. And it also poses new questions in the old tradition of history and moral philosophy. Is it possible to be both fair and free? In a vast array of evidence, Fischer finds that the strengths of these great values are needed to correct their weaknesses. As many societies seek to become more open--never twice in the same way, an understanding of our differences is the only path to peace. 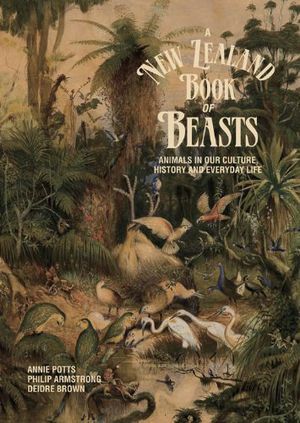 A New Zealand Book of Beasts is a groundbreaking examination of the interactions between humans and `nonhuman animals' - both real and imagined - in New Zealand's arts and literature, popular culture, historiography, media and everyday life. Structured in four parts - Animal Icons, Animal Companions, Art Animals and Controversial Animals - the Book of Beasts touches on topics as diverse as moa-hunting and the SPCA, pest-control and pet-keeping, whaling and whale-watching; on species ranging from sheep to sperm whales and from pekapeka to possums; and on the works of authors and artists as various as Samuel Butler and Witi Ihimaera, Lady Mary Anne Barker and Janet Frame, Michael Parekowhai and Don Binney, Bill Hammond and Fiona Pardington. In examining through literature, art and culture the ways New Zealanders use and abuse, shape and are shaped by, glorify and co-opt, and describe and imagine animals, the authors tell us a great deal about our society and culture: how we understand our own identities and those of others; how we regard, inhabit and make use of the natural world; and how we think about what to buy, eat, wear, watch and read. This is an engaging, original and scholarly rigorous book of cultural criticism and a thoughtful addition to New Zealand literature. 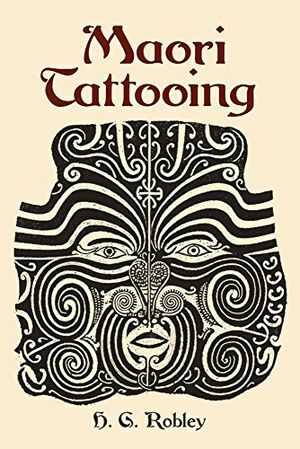 Originally published in 1896, this classic of ethnography was assembled by a skilled illustrator who first encountered Maori tattoo art during his military service in New Zealand. Maori tattooing (moko) consists of a complex design of marks, made in ink and incised into the skin, that communicate the bearer's genealogy, tribal affiliation, and spirituality. This well-illustrated volume summarizes all previous accounts of moko and encompasses many of Robley's own observations. 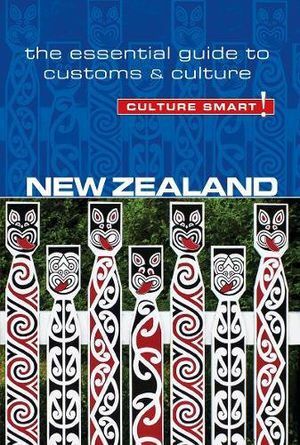 He relates how moko first became known to Europeans and discusses the distinctions between men and women's moko, patterns and designs, moko in legend and song, and the practice of mokomokai: the preservation of the heads of Maori ancestors. Features 180 black-and-white illustrations. A Taste of New Zealand From The Mountains To The Sea. 'I am truly at peace when wandering up a river with a fly rod.' Join chef and outdoorsman tony Smith as he follows a New Zealand river from the headwaters in the iconic High Country, down to the foothills and plains and on to the magnificent coast, and explore the amazing variety of food, game and produce he catches, hunts and cooks along the way. 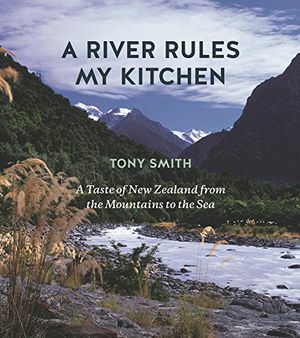 With recipes as ravishing as the landscapes that inspired them, A River Rules My Kitchen is the culmination of a culinary journey into the heartland of a wild and beautiful country. In the tradition of Under the Tuscan Sun and A Year in Provence, here is Jeffrey Moussaieff Masson’s ode to his personal paradise–his adopted home, New Zealand. After living in California, why did Masson settle– out of all the places on earth–in such a faraway land? It turns out that while visiting a beautiful sandy beach just fifteen minutes from bustling Auckland, Masson and his family were utterly seduced by the exotic locale. There was little deliberation. 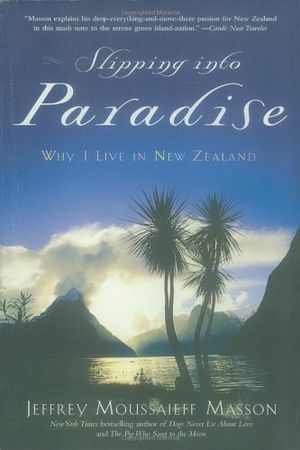 This place, surrounded by lush forest on a bay dotted with volcanic islands, would be their new home.Masson takes readers on a remarkable journey to another world, as he and his family “slip into” the paradise that is New Zealand. For anyone who has ever dreamed of finding utopia, Masson reveals a country where neighbors talk to one another and provide a sense of real community–rarely, outside of the big cities, locking their doors–and where politics are as mellow as the weather. New Zealand is also a land of spectacular scenery, made even more famous for being the shooting location for the Lord of the Rings films. The flora is plentiful. Mangroves, banana plants, papaya trees, and more than ten thousand species of ferns grow wild and freely. The fauna is benign. There are no snakes, tarantulas, or scorpions. Children can walk to school barefoot without a care– there is nothing to sting them, bite them, or give them a rash. In the blue waters near the lush coastline, dolphins and orcas abound. While describing his love affair with the country and his affinity for its citizens, Masson reflects on the meaning of home, the importance of acting on intuition, and what happens when we lose our connection to the place we live in. 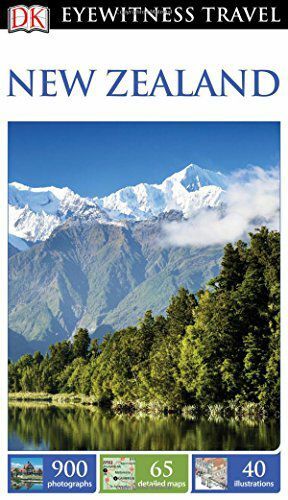 Responding to an impulse, Masson reveals, he realized a dream.Featuring a its glossary of phrases used by New Zealanders and important Maori words, as well as the author’s recommended travel itinerary, Slipping into Paradise is ideal for anyone planning a visit to this exquisite land. 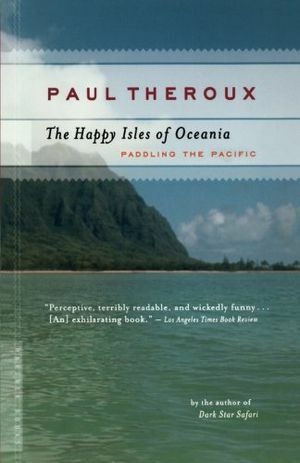 Full of photographs, delightful anecdotes, and little-known facts (jogging, for example, was invented in New Zealand), Slipping into Paradise is also a book for those who fantasize about dramatically changing their lives–and who imagine something better for themselves. 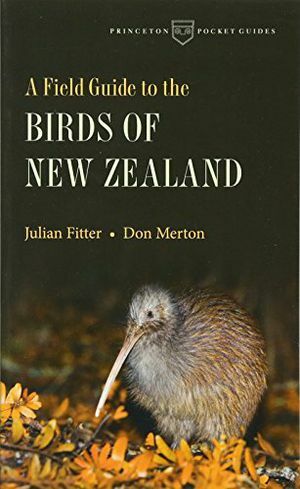 Jeffrey Masson’s message: New Zealand awaits.From the Hardcover edition. The age of discovery was at its peak in the eighteenth century, with heroic adventurers charting the furthest reaches of the globe. Foremost among these explorers was navigator and cartographer Captain James Cook of the British Royal Navy.Recent writers have viewed Cook largely through the lens of colonial exploitation, regarding him as a villain and overlooking an important aspect of his identity: his nautical skills. In this authentic, engrossing biography, Frank McLynn reveals Cook's place in history as a brave and brilliant seaman. 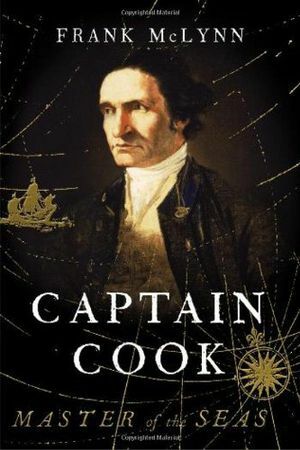 He shows how the Captain's life was one of struggle--with himself, with institutions, with the environment, with the desire to be remembered--and also one of great success.In Captain Cook, McLynn re-creates the voyages that took the famous navigator from his native England to the outer reaches of the Pacific Ocean. Ultimately, Cook, who began his career as a deckhand, transcended his humble beginnings and triumphed through good fortune, courage, and talent. Although Cook died in a senseless, avoidable conflict with the people of Hawaii, McLynn illustrates that to the men with whom he served, Cook was master of the seas and nothing less than a titan. The bestselling, Man Booker Prize-winning novel hailed as "a true achievement. 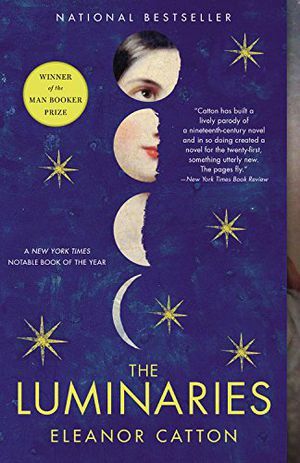 Catton has built a lively parody of a 19th-century novel, and in so doing created a novel for the 21st, something utterly new. The pages fly." --New York Times Book ReviewIt is 1866, and Walter Moody has come to stake his claim in New Zealand's booming gold rush. On the stormy night of his arrival, he stumbles across a tense gathering of 12 local men who have met in secret to discuss a series of unexplained events: a wealthy man has vanished, a prostitute has tried to end her life, and an enormous cache of gold has been discovered in the home of a luckless drunk. Moody is soon drawn into a network of fates and fortunes that is as complex and exquisitely ornate as the night sky.Richly evoking a mid-nineteenth-century world of shipping, banking, and gold rush boom and bust, THE LUMINARIES is at once a fiendishly clever ghost story, a gripping page-turner, and a thrilling novelistic achievement. It richly confirms that Eleanor Catton is one of the brightest stars in the international literary firmament. 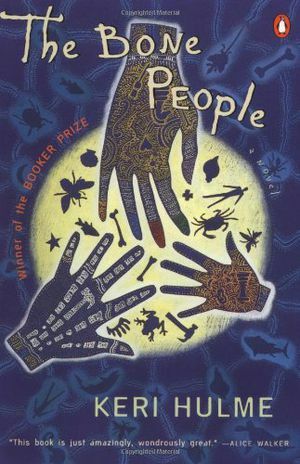 In a tower on the New Zealand sea lives Kerewin Holmes, part Maori, part European, an artist estranged from her art, a woman in exile from her family. One night her solitude is disrupted by a visitor—a speechless, mercurial boy named Simon, who tries to steal from her and then repays her with his most precious possession. As Kerewin succumbs to Simon's feral charm, she also falls under the spell of his Maori foster father Joe, who rescued the boy from a shipwreck and now treats him with an unsettling mixture of tenderness and brutality. Out of this unorthodox trinity Keri Hulme has created what is at once a mystery, a love story, and an ambitious exploration of the zone where Maori and European New Zealand meet, clash, and sometimes merge.Winner of both a Booker Prize and Pegasus Prize for Literature, The Bone People is a work of unfettered wordplay and mesmerizing emotional complexity. 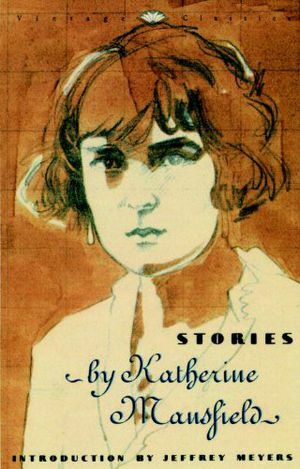 Although Katherine Mansfield was closely associated with D.H. Lawrence and something of a rival of Virginia Woolf, her stories suggest someone writing in a different era and in a vastly different English. Her language is as transparent as clean glass, yet hovers on the edge of poetry. Her characters are passionate men and women swaddled in English reserve -- and sometimes briefly breaking through. And her genius is to pinpoint those unacknowledged and almost imperceptible moments in which those people's relationships -- with one another and themselves -- change forever. This collection includes such masterpieces as "Prelude," "At the Bay" "Bliss," "The Man Without a Temperament" and "The Garden Party" and has a new introduction by Jeffrey Meyers. 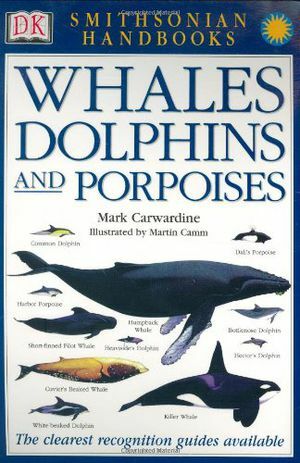 Authoritative text, detailed illustrations, and a systematic approach make DK's Smithsonian Handbook of Whales, Dolphins, and Porpoises the most comprehensive and concise pocket guide to cetaceans. With more than 900 illustrations, this visual recognition guide is designed to make identification as simple and accurate as possible.This book is one of a series covering plants, animals, and other natural phenomena from around the world and is published in association with the Smithsonian Institution. 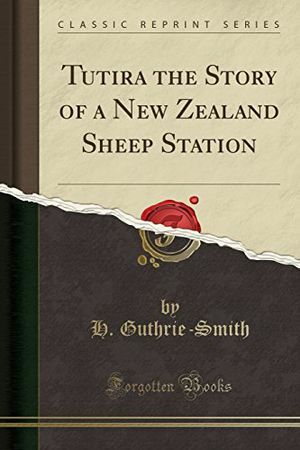 Excerpt from Tutira the Story of a New Zealand Sheep StationSo vast and so rapid have been the alterations which have occurred in New Zealand during the past forty years, that even those who, like myself, have noted them day by day, find it difficult to connect past and present - the pleasant past so completely obliterated, the changeful present so full of possibility. These alterations are not traceable merely in the fauna, avifauna, and ﬂora of the Dominion, nor are they only to be noted on the physical surface of the countryside: more profound, they permeate the whole outlook in regard to agriculture, stock-raising, and land tenure.The story of Tutira is the record of such change noted on one sheep-station in one province. Should its pages be found to contain matter of any permanent interest, it will be owing to the fact that the life portrayed has for ever vanished, the conditions sketched passed away beyond recall. A virgin countryside cannot be restocked; the vicissitudes of its pioneers cannot be re-enacted; its invasion by alien plants, animals, and birds cannot be repeated; its ancient vegetation cannot be resuscitated, - the words terra incognita have been expunged from the map of little New Zealand.About the PublisherForgotten Books publishes hundreds of thousands of rare and classic books. Find more at www.forgottenbooks.comThis book is a reproduction of an important historical work. Forgotten Books uses state-of-the-art technology to digitally reconstruct the work, preserving the original format whilst repairing imperfections present in the aged copy. In rare cases, an imperfection in the original, such as a blemish or missing page, may be replicated in our edition. We do, however, repair the vast majority of imperfections successfully; any imperfections that remain are intentionally left to preserve the state of such historical works.